• Stanford Social Innovation Review explains how Water for the People avoids common pitfalls of WASH funding by building a comprehensive checklist of project milestones that must be completed before leaving. • Most social programs should aim to make themselves obsolete for the greater good, but what are the consequences of abandoned initiatives? • Find out why water well programs only make an impact if they provide a reliable water source. Nonprofit leaders talk a lot about creating exit strategies for programs, but few organizations have been able to phase out their work in a way that provides quality, sustainable services for the communities they’re leaving. 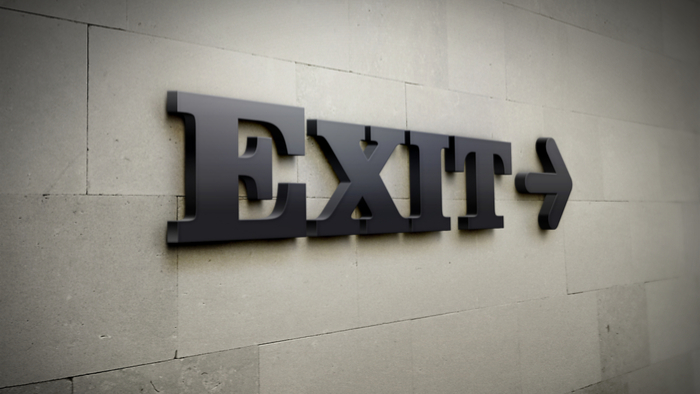 Too often, exits are dictated by inadequate funding streams or arbitrary timelines, rather than results. It’s time to radically rethink how we design and implement exit strategies, putting the focus on impact and sustainability, rather than timelines and money spent. We have found through our own experience in the water, sanitation, and hygiene (WASH) sector that a simple and flexible checklist can greatly increase the feasibility of a graceful exit. The WASH sector is littered with examples of exits gone wrong. A 2012 audit of European Union investments in sub-Saharan WASH projects over the past decade—$1 billon worth of investments—showed that half of the projects had failed to have impact, largely because they were not well managed over the long term. To help ensure that our work is sustainable, we have developed a simple but comprehensive checklist. In devising our own checklist for the WASH sector, we learned three important lessons that apply to any nonprofit devising an exit strategy. A cookie-cutter checklist and scoring system will not provide accurate insights on impact sustainability in these diverse settings. Scores should prompt conversations, and provide a clear roadmap for action and investment. The deeper we looked at the checklist indicators and the feasibility of districts maintaining their scores over time, the more we realized that it is not realistic to fully engage with programs one day and leave the next without looking back. Read the full article about exit strategies with lasting impact by Kimberly Lemme and Kelly Latham at Stanford Social Innovation Review. Giving Compass' Take: • Kris Putnam-Walkerly argues that philanthropists need to give up control in order to maximize their impact - and offers ways to do just that. • Are you ready to give up control? What partners are ready to take the lead? • Find out how to earn more respect in philanthropy. How do you give up (or at least share) control and still get results — better results than you’ll get by keeping a tight rein? Here are three key ways to cede control — and improve your funding results: 1. Let the community guide your learning. As a funder, you may have researched intensively. You may have read every paper and study published on a particular topic. Maybe you’ve met with some of the leading minds on your issue. Heck, perhaps you’ve even funded studies yourself. But when it comes to social issues, the people who are most affected can be your most valuable sounding board and your greatest source of insight. 2. Look for homegrown solutions. As funders with an eye toward solving problems, nothing excites us more than a good idea that has shown big impact. Many of us practically drool over an evidence-based practice that we think will work wonders in our own communities. But we should recognize that there are no one-size-fits-all solutions, and even interventions that have a strong base of evidence for effectiveness in one community may completely miss the mark in another. Culture, trusting relationships and the ability to recognize and build on a community’s unique assets are all key components of success. 3. Invest beyond the usual suspects. Once you’ve given others the power to inform your understanding and name their own solutions, it’s time to make investments. You’ll likely want to turn to your trusted grantees and partners, excited to bring them into the mix as allies who will appreciate your newfound knowledge and new approach. While your long-term grantees may indeed play a valuable role, they may not be the best to implement a strategy or, at least, not best to take the lead. Read the full article about giving up control by Kris Putnam-Walkerly at Putnam Consulting Group.